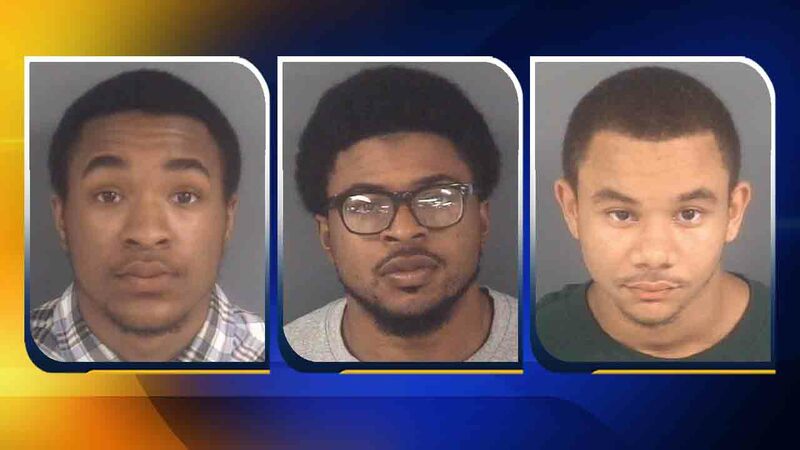 CUMBERLAND COUNTY (WTVD) -- Cumberland County Sheriff's Office homicide detectives have arrested 22-year-old Devine McLeod and 21-year-old Marcus Elliott in the July 3 shooting death of 21-year-old Kyle Derrick McCarty. McLeod and Elliott are each charged with first-degree murder and conspiracy to commit robbery with a dangerous weapon. They are being held at the Cumberland County Detention Center without bond. Deputies are seeking information about the whereabouts of Tre Montrel Parker who is also wanted in the murder of McCarty. The murder happened before 1 a.m. Monday in the 1400 block of Caisson Drive, off MacArthur Road. If you know the whereabouts of Tre Parker contact the Cumberland County Sheriff's Office at (910) 323-1500 or call 911.